I've done a few of the things mentioned above and still getting some of the issues when i came across some posts bout some sort of issue with the AMD Raedon 550 graphics card. Could this graphics card be my issue for my PC reloading/shutting down? If i had a Hallowed Barricade (the crafted shield part of the 2 Piece set) and it came with a socket or i put a socket on it would i be able to place a gem of ease in it or would i need to put both in the cube to reduce its iLVL? 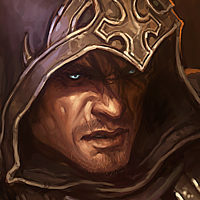 with how many classes there are in Diablo and the chances more would be added why not add atleast one more slot to allow for upto 5 people to Group up and Form a party.The only reason i can think of why it hasnt been done is so we cant farm all 5 zones at same time, but it would allow us to farm the bounty mats faster and then maybe push even higher G. Rifts. I am seeing 2 DxDiag, 1 is a .exe file and the other being a .txt File which version would you be refering to? 07/05/2017 08:01 PMPosted by Legion07/05/2017 07:51 PMPosted by BlackarrowsYou can only acquire the cube in adv mode so it must be another of many new bugs.That's what I read! Hence why I started adventure mode for the first time, and noticed that the cube was already there lolyou could always expereince the quest the next time seasons is active and you hit LVL 70 in seasons that way you get to experience it. Should our followers have 'sets'?